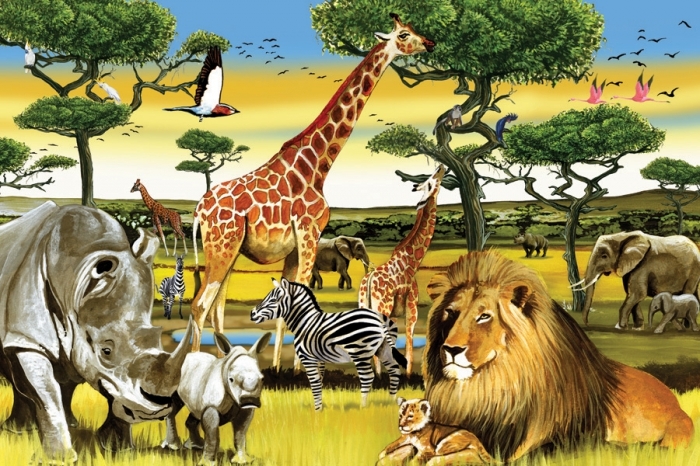 Go on safari to the African Plains with this 36 piece floor puzzle. See all your favourite wild animals relaxing in the African savannah with beautiful birds flying overhead. This colourful scene is sure to inspire any young animal lover and the large size pieces facilitate easy picking up and placing of the pieces by little hands. Cobble Hill puzzles are made from 100% recycled fibers and all inks used are environmentally friendly. Pieces are thick and durable with a UV coating so that they can be assembled over and over again. Cobble Hill puzzles are quality puzzles built to last.